Smothered Pork Chops are a classic for a reason! 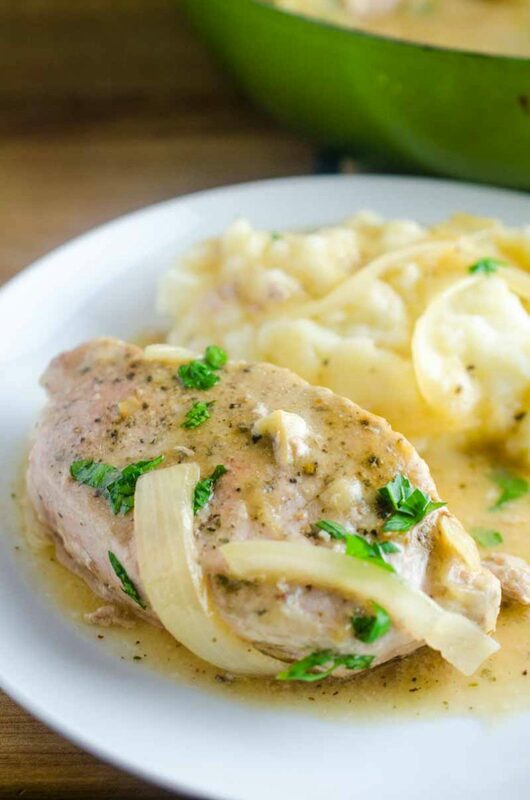 These sage rubbed pork chops are pan fried and simmered in a savory onion gravy. 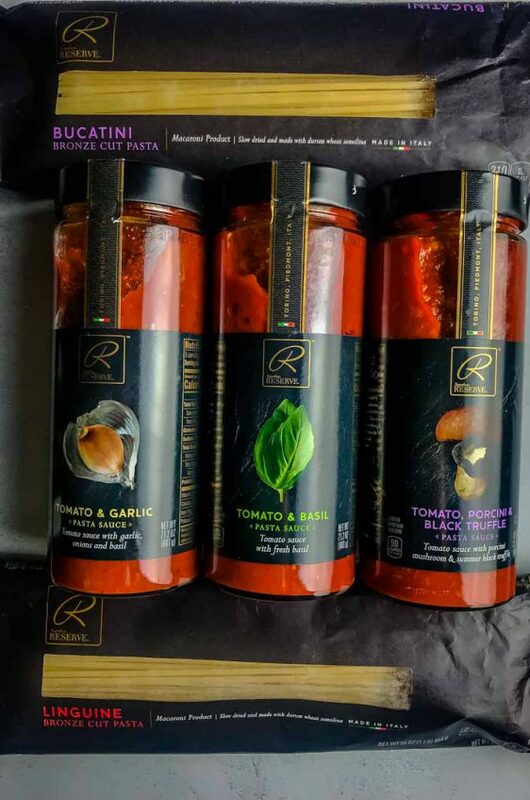 It’s comfort food at it’s finest! Disclosure: This post is sponsored by Safeway and Albertsons. We are grateful for our sponsors as they allow us to bring you delicious free content every week. As always, all opinions are my own. 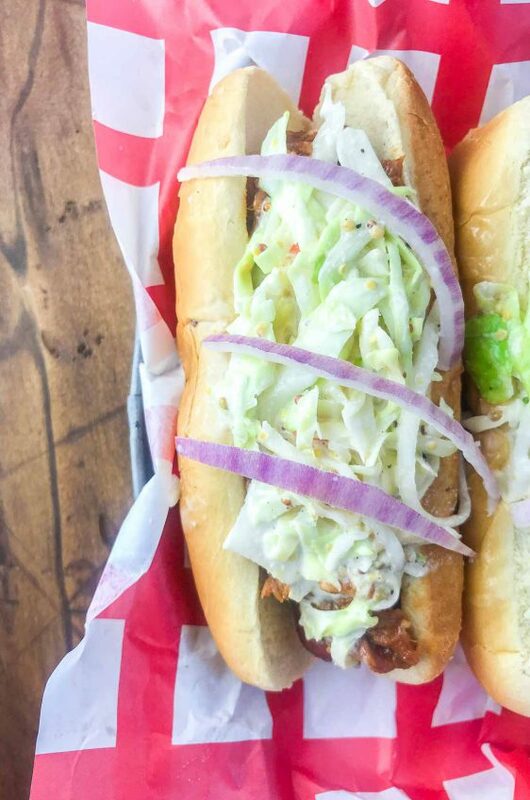 Did you know that October is National Pork Month? 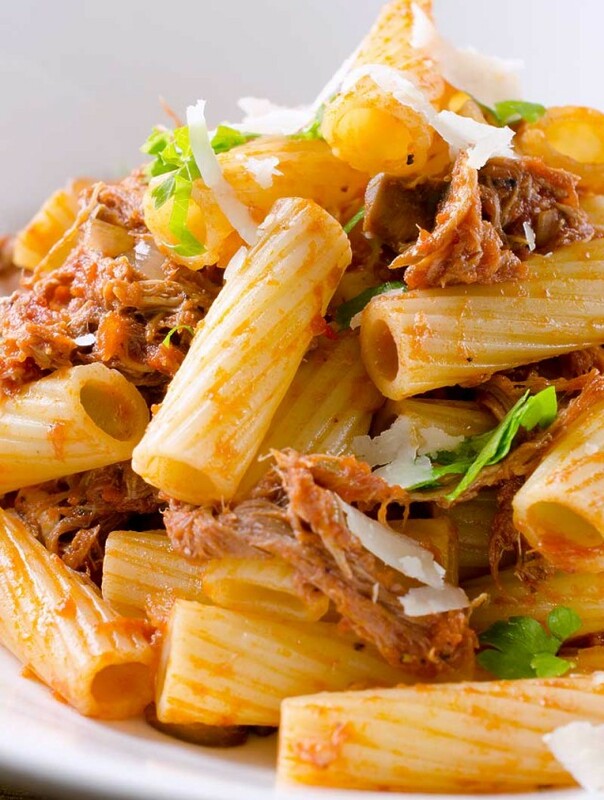 I thought that I would celebrate by creating a new recipe for you featuring Open Nature® Pork. But not just any recipe, I wanted to bring you an easy, comfort food classic that will please the whole family. 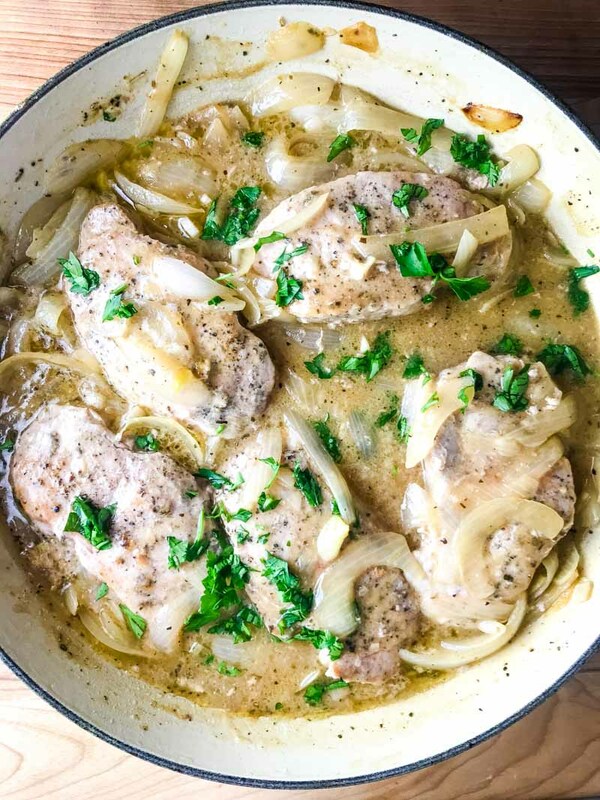 These Smothered Pork Chops are exactly that. 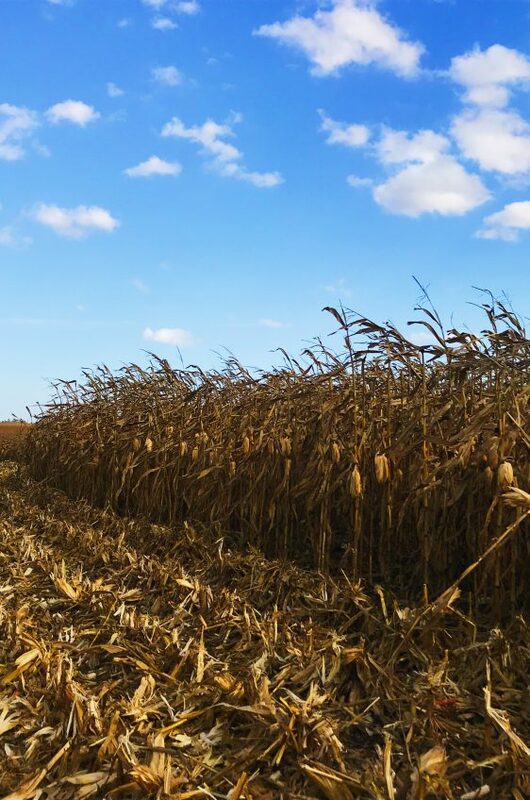 What is Open Nature® Pork? Open Nature® Pork is available in Seattle area exclusively at Safeway and Albertson’s stores. Open Nature® Pork is anti-biotic free, 100% vegetarian fed pork. There are no added hormones or growth promotants and the pork is raised crate free. In addition to all of that, Open Nature® Pork is the Duroc heritage breed. What does that mean? The Duroc breed has a high degree of marbling. More marbling means more tender and juicy meat. More tender and juicy meant means one heck of a flavorful eating experience. 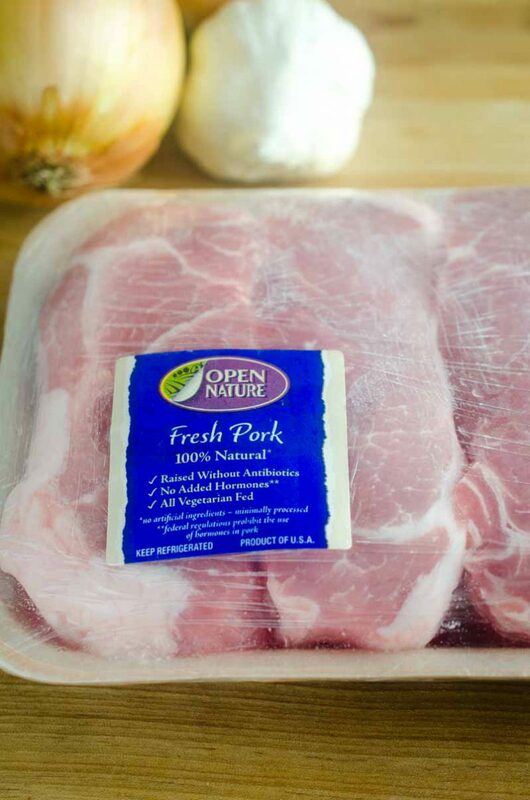 There are several different pork cuts in the Open Nature® pork line. You’ll find bone-in pork chops, boneless chops, tenderloins and shoulder roast. So many different cuts. So many different possibilities. 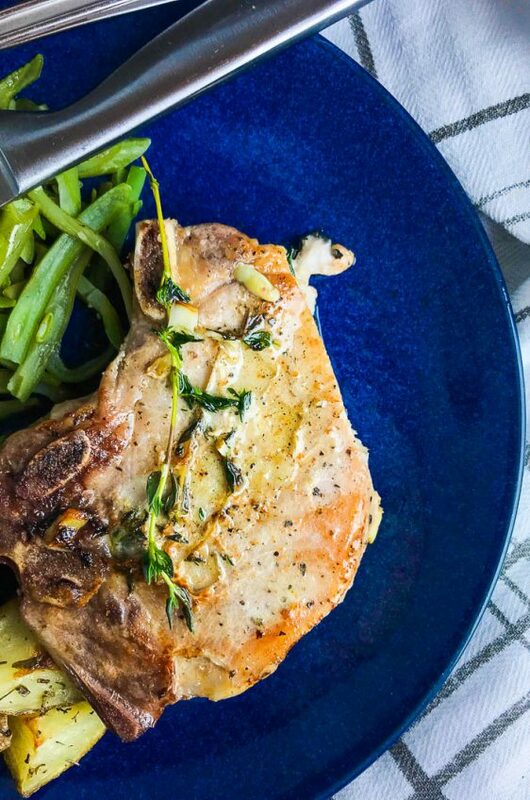 You could make Braised Pork Chops with the bone-in chops. Or season and roast a pork tenderloin for an impressive dinner. And of course, Open Nature Pork Shoulder would be perfect for Slow Cooker Pulled Pork. 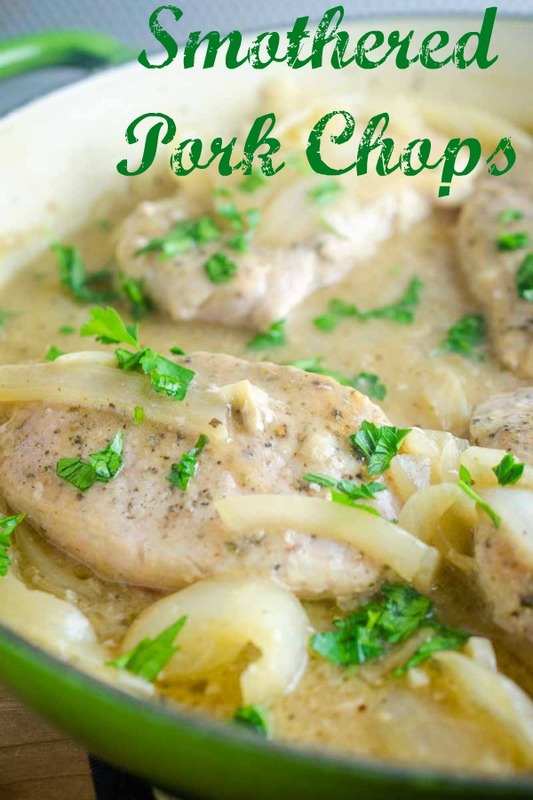 For this Smothered Pork Chop Recipe, I decided to use Open Nature Boneless Chops. How do you make smothered pork chops? Smothered pork chops are a southern comfort food classic. Traditionally the pork chops are pan fried and then simmered in a rich onion gravy. For this Smothered Pork Chop recipe, the pork chops are rubbed in salt, pepper, garlic and sage before they are pan fried. The sage adds an earthy herb flavor that pairs perfectly with the pork. To make the gravy, simply reserve pan drippings, sauté the onions and then whisk in some flour and broth. Finally, return the pork chops to the pan, reduce heat and let the pork chops simmer. The whole meal will take about 30 minutes. Pretty easy huh? How can you tell when a pork chop is cooked through? Growing up, I remember that pork always had to be cooked until it had no hint of pink. That is no longer the case. According to new USDA guidelines, pork is safe to eat once it reaches an internal temperature of 145 degrees. And just like other meats, pork will continue to cook a degree or two once it is removed from the heat so keep that in mind when you are cooking. If you’re wondering what to serve with these Smothered Pork Chops, the obvious choice Creamy Homemade Mashed Potatoes. 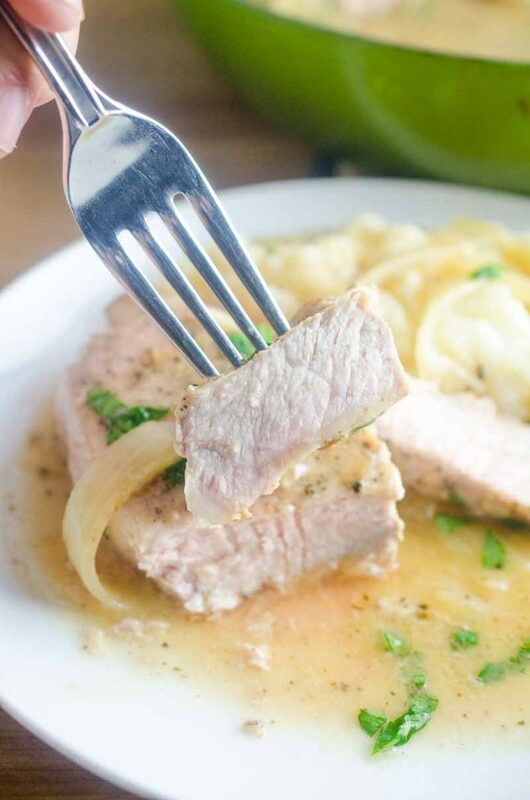 A bite of pork chop, with creamy potatoes and savory onion gravy is pure bliss, friends. Pure bliss. This is a sponsored conversation written by me on behalf of Albertsons and Safeway Stores. The opinions and text are all mine. In a small bowl combine salt, black pepper, 1/2 teaspoon rubbed sage and granulated garlic. Season both sides of pork chops with seasoning mixture. Heat oil in a large skillet over medium heat. Pan fry pork chops on both sides until golden brown. About 4 minutes per side. Remove and set aside. Reserve 2 tablespoons of pan juices. Add in onions and garlic. Cook just until onions start to soften, about 5 minutes. Sprinkle flour over the top and stir. Let cook one minute. Slowly whisk in chicken broth being careful to scrape any bits from the bottom of the pan. Bring to a boil, reduce heat and return pork chops to pan. Allow pork chops to simmer until they reach an internal temperature of 145 degrees. Serve over mashed potatoes. This dish would be perfect for my husband! Yummy! My kids have a serious love of pork chops! I have to make these! I am always looking for new pork chop recipe to try! This looks delish! 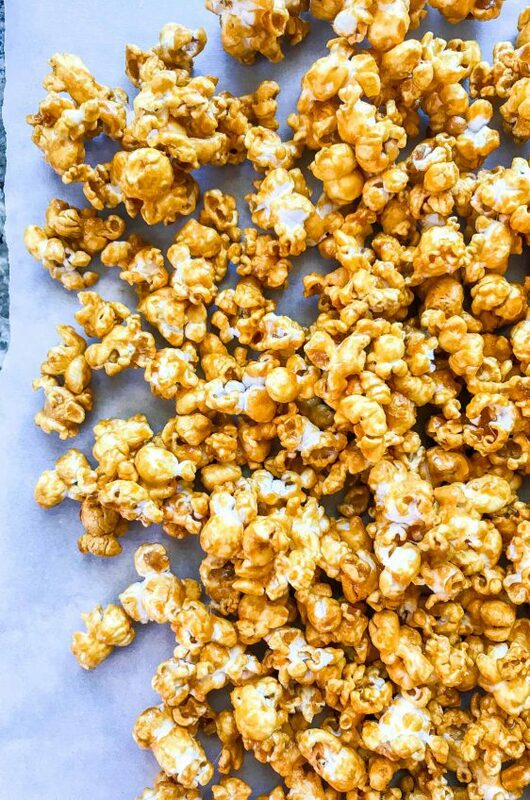 This will be a perfect weeknight meal!! Oh my goodness, this looks absolutely delicious! Love all the flavors it has, this is a keeper! These look so flavorful. I can’t wait to make them!